Today's idea is a Tag Gift Card Holder. I started with a piece of pink textured card stock 4x63/4 inches. and folded. I punched a hole in the center top of the tag. with copic Markers and matted it on a piece of green gingham paper. I punched a small circle from white cardstock and punched a hole through the middle. I glued it over the hole I had punched on the tag top. The border above the bow is EK Success. The bunny border across the bottom is Martha Stewart. adhere to the bottom of the tag to form a pocket to slip cash or a gift card into. 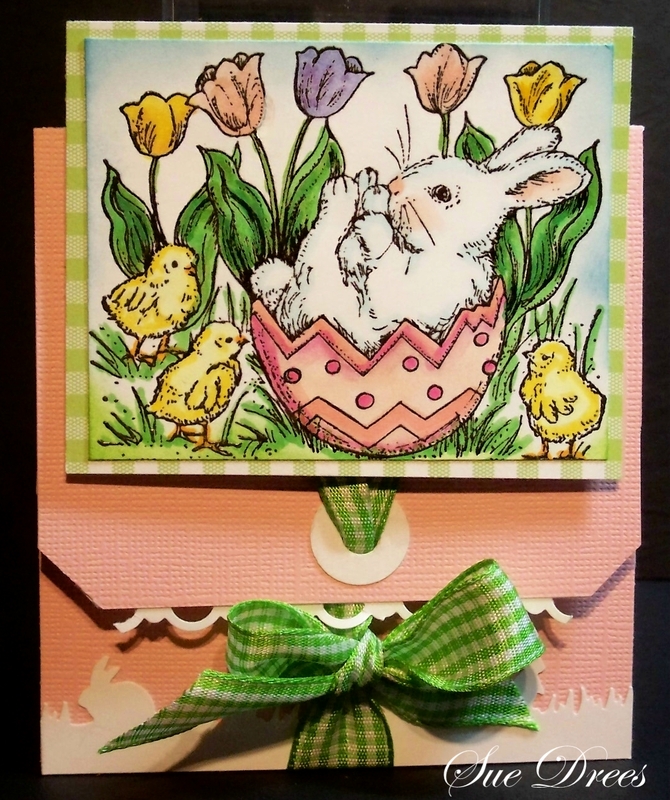 The border across the top of the pocket is Cheery Lyn Designs (B171) Bunny And Chick Border. 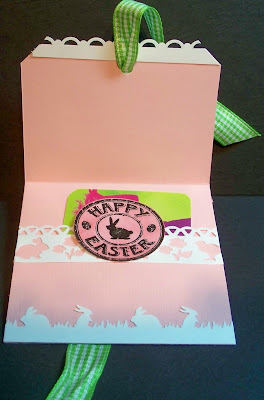 The circle sentiment stamp is Technique Tuesday - Easter Seal. Put one end of the ribbon through the hole in the top of the tag from the front. Bring the other end around the card. Adhere your stamped design to the front and tie a bow. This design would work for any occasion where you want to give a gift of cash or gift card. The tag can be made any size too. Hope you have a chance to try this little tag gift card holder. 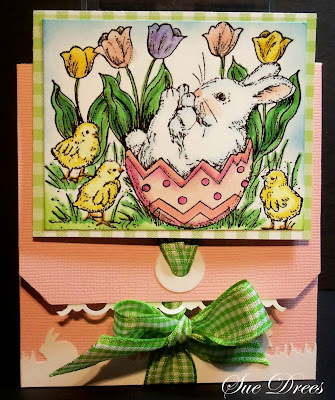 woow, what a cute Easter card this is!! :-) I so love the little bunny. Thank you so much for your sweet comment on my card and I'm so happy to hear that your sister will be home today. :-) What great news is that. Wishing you a wonderful start into the new week. beautiful card, amazing image have you used. oohhh what a cute easter card holder Sue, beautiful made. This is gorgeous Sue. Such a fabulous design and I love the cute image. How sweet this image is and I love this gift card holder. It just goes together and opens so nicely. 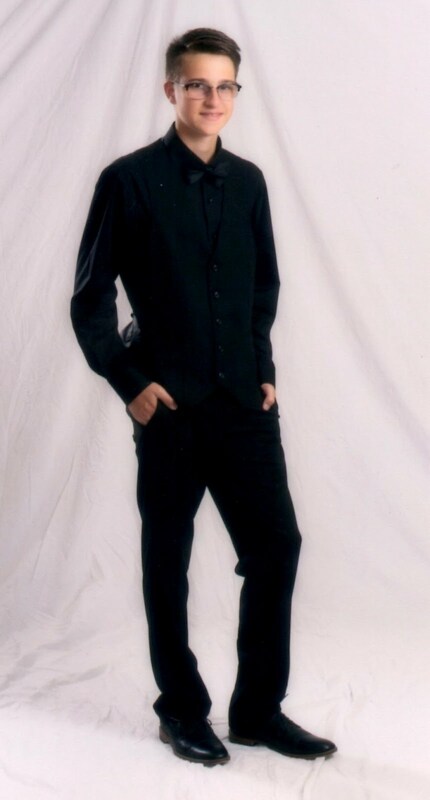 What a great creation. Too adorable and I really love the fold and how it ties together with the ribbon, terrfic design!